Malaysia Airlines flight MH370, which vanished after taking off from Kuala Lumpur to Beijing in 2014, may be somewhere in the Indian Ocean. As the March 8 anniversary of the flight’s disappearance looms, new theories are gaining traction about what happened to MH370’s 239 passengers and crew. A newly proposed MH370 theory suggests the plane was photographed over the Indian Ocean shortly after taking flight. This theory is supposedly supported by NASA satellite images snapped by the space agency’s Earth Observing System Data and Information System (EOSDIS). Satellite photos shared online this week claim to show at least three potential locations for the MH370 flight. 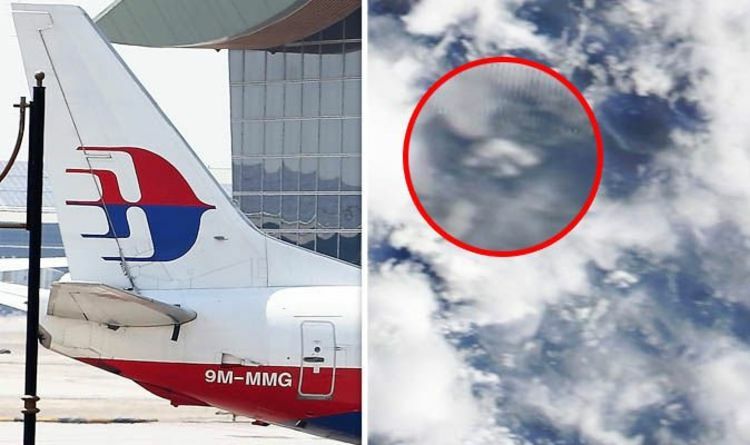 The claim comes in a YouTube video titled MH370 Possible Sighting using NASA Satellite Data, uploaded by user Darren Bailey. The most bizarre satellite snapshot appears to show a vaguely plane-like object directly to the west of Malaysia and Indonesia. However, outside of conspiracy theory speculation, there is little to suggest the object in question is anything more than an oddly, plane-shaped cloud. Less than three weeks after MH370 went off-radar, the Malaysian Prime Minister Najib Razak announced the aircraft most likely crashed in the Indian Ocean. The Prime Minister said all collected data suggested the plane was positioned somewhere in the middle of open water to the west of Perth, Australia, which would place it much further south than the NASA photo. The families and friends of the 227 passengers and 12 crew members on board the flight have, however, not given up hop on finding the missing plane. Malaysia Airlines Flight MH370 took off from runway 32R at Kuala Lumpur International Airport, at around 4.42pm UTC. On July 29, 2015, a fragment of the missing aeroplane was found on a beach on the French protectorate island of Réunion.